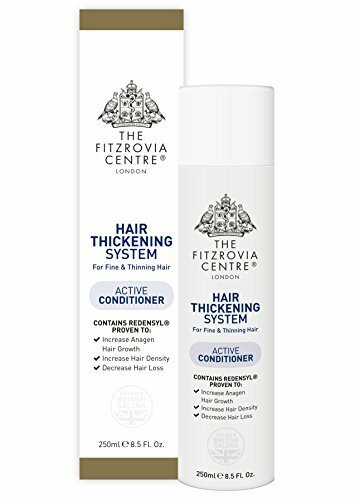 The Fitzrovia Centre Hair Thickening System - Active Conditioner 250ml The Fitzrovia Centre Hair Thickening System Active Conditioner for Fine Thinning Hair will: increase anagen hair growth, increase hair density, decrease hair loss, improve scalp health, feed nourish hair follicles with natural proteins amino acids to leave hair with a salon-healthy look shine. 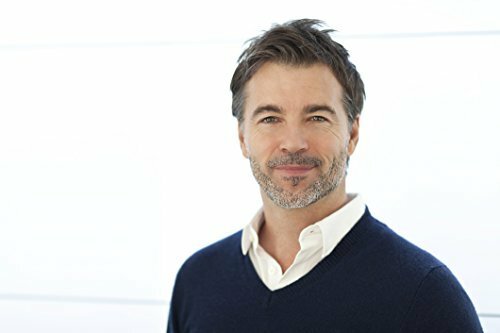 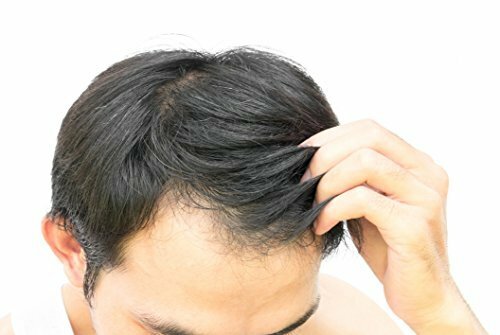 - Contains Redensyl, an award winning active ingredient, which dramatically reactivates hair growth and decreases hair loss. Perfect for both men and women. 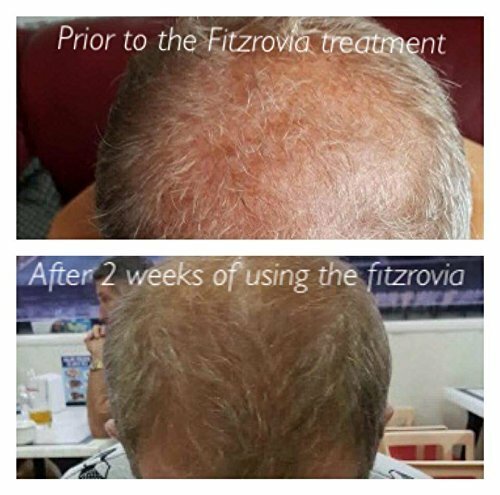 Patented molecules stimulate thicker hair growth across the scalp. - Contains: Natural Oat Beta Glucan Maltodextrins, a natural source of soluble fibre, proteins and oils; Panthenol Pro Vitamin B5, to stimulate the hair follicle growth cycle, and beneficial Green Tea Isoflavanones all combine to protect and soothe the scalp from oxidative stresses and UV radiation, whilst stimulating a fuller head of hair. 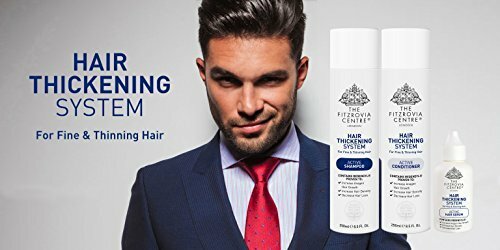 - Hydrolyzed Keratin Plant Proteins, composing 18 amino acids, augments the hairs natural levels of moisture, leaving hair rehydrated and full of vitality. 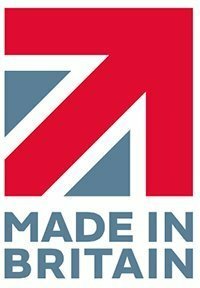 - 100% BRITISH MADE: All our products are developed, formulated and manufactured in the UK under the most stringent quality standards utilising scientifically proven pH balanced ingredients to guarantee peace of mind. 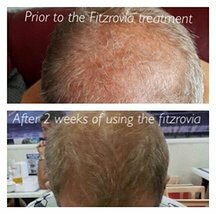 - FREE FROM: Parabens, Sodium Lauryl Sulfate (SLS), Sulphates, Silicones, Cocamide DEA and Formaldehyde.